← Are you “Hungry for Knowledge”? I wish more people would follow that advice and I had more time to do so myself. Love this! 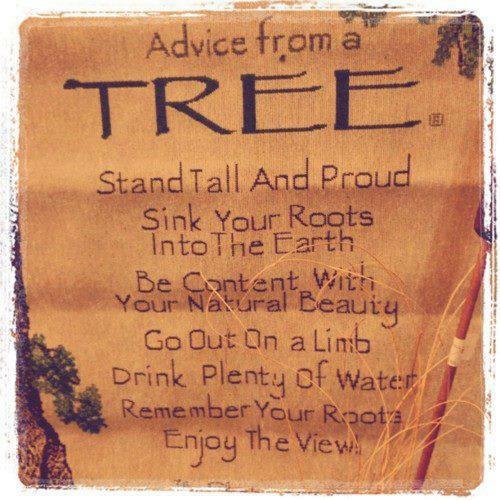 Trees give the best advice, don’t they? Thanks for sharing this simple advice we tend to forget and need this reminder of what is important in how to live a fulfilling, peaceful, and joyful life. You are a unique individual who sees the beauty in everything and anyone! I am loving your blog and the positive messages you share. Thank you Annie Girl! Lots of Love to you!